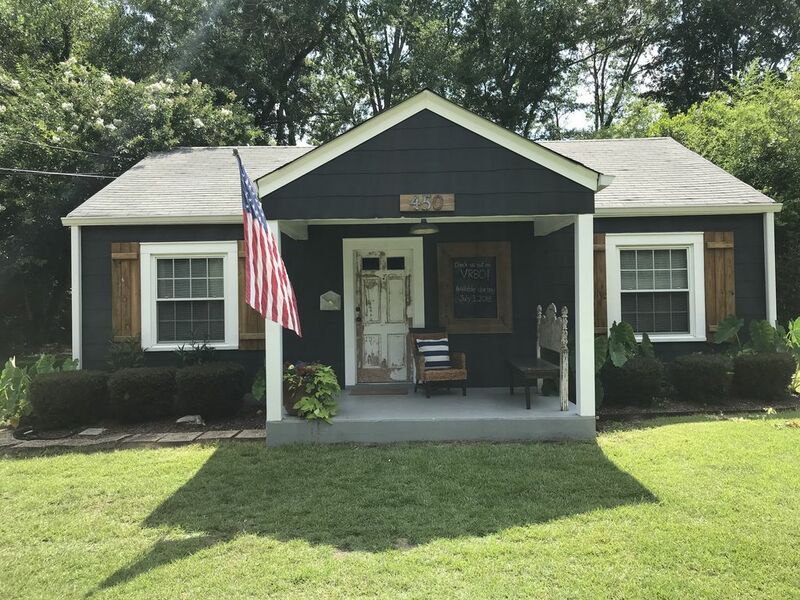 Charming Cottage on the Plains- walking Distance to Auburn University! This charming two bedroom furnished cottage is in the perfect location to experience all the University has to offer. Within walking distance to campus, restaurants, and downtown. Perfect for short term rental- a weekend, a week or even a month. It is located in a quiet, residential neighborhood. It is ideal for game day weekends, graduations, perspective student visits, or any Auburn event! We had a wonderful weekend with our daughters and this cottage made the whole weekend feel homey. We loved the cute decorations and the house is very convenient to everything. We walked downtown and enjoyed the awesome weather! Great location. Easy walk to campus. Cute, clean cottage had all we needed. Great for our visit to see our girls at Auburn. Clean, charming cottage with a cute cow motif. Beautiful cottage within minutes of the school. Easy walk or a drive of only a few minutes. Very close to restaurants and attractions. Would stay again. We loved this cottage! It was perfect. Great location. So clean and cute! We’ll be back! Great weekend at the Cow Cottage! Cutest Game Day House. So nice and clean and perfect for us. We will definitely be back! We really enjoyed our stay. The cottage is so cute and absolutely perfect for a game day weekend. We will definitely try to stay here again! Thanks for sharing your home.